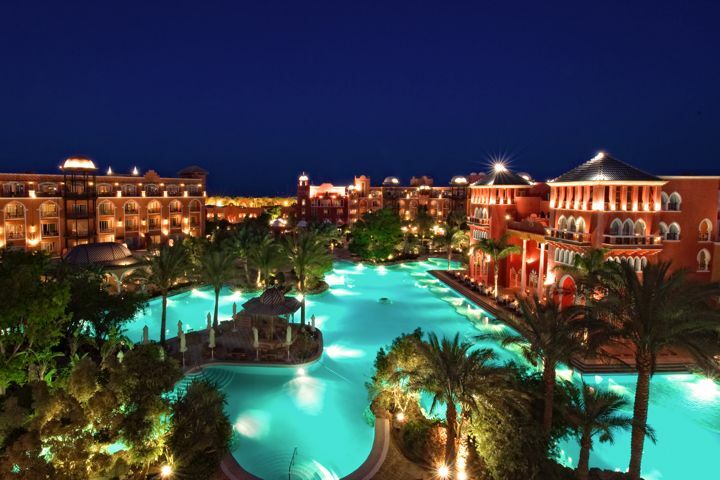 Aptly named for its size and range of facilities, the Grand Resort lies at the very heart of the modern resort area of Hurghada. Its unusual figure of eight design allows one side of the hotel to cater for those seeking lively entertainment and music while the other side off ers tranquillity for those who simply want to relax and unwind. 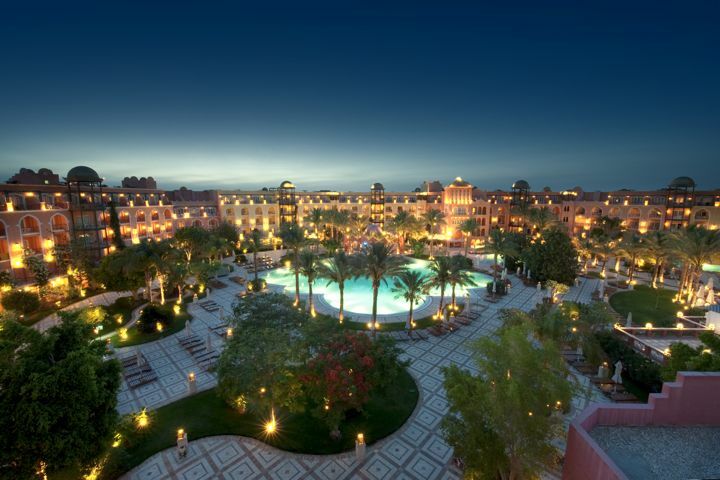 3 km from Hurghada airport and 10 km from the Old Town, The Grand Resort is in the centre of the modern resort and is directly connected to the Grand Mall, which offers a beauty centre, pharmacy, mini market, jewellery shops, restaurants and coffee shops. All rooms have king size or twin beds, bath with shower, WC, air conditioning (seasonal), hair dryer, safe and satellite TV. There is a telephone and mini-bar, both at extra charge. All have balconies or terrace. STANDARD ROOMS sleep 2 adults and have a street view. JUNIOR SUITES are larger with a lounge area and pool or garden view. Sleeps 2 adults and 2 children or 3 adults. Upgrade from £5 per room per night. JUNIOR SUITES with POOL VIEWS upgrade from £10 per room per night. ONE BEDROOM SUITES have a master bedroom plus living room with 3 single sofa beds and a pool view. Sleeps 2 adults and 3 children or 3 adults. Upgrade from £38 per room per night. Beach access is at the Grand Hotel. The gently sloping sandy beach is just 300m away, and includes sun loungers, parasols and beach towels.